How Cisco brings flawless networking to the massive eSports convention. BlizzCon, the annual two-day eSports extravaganza, took place this year in Anaheim, California—and brought together gaming enthusiasts and the eSports community alike. Here, superfans learned all about new characters and product launches, played games not yet released and watched live some of the biggest gaming tournaments of the year. Cisco brought its networking expertise to the convention, and provided the network to flawlessly power the event. eSports is the booming video and computer game industry, stated as reaching 165 million fans in 2018. The company behind BlizzCon—Blizzard—began selling franchises like its eSports group Overwatch League for $20 million in 2017. Entertainment companies ESPN and Disney have also signed a multi-year broadcasting deal that aired the Overwatch League finals, the most comprehensive TV distribution of an eSports event over a weekend. All of which to say, BlizzCon and its eSports fanatics are a big deal. Over the two days, there were more than 1000 machines running, more than 40,000 people attending in person, and over 10 million people watching the livestream online. The convention center covers the length of 21 football fields, with twice as many broadcast trucks and cameras as Monday Night Football. This was all broadcast to a hyper-engaged, global audience. For such a savvy fanbase, there is no room for downtime, threats, interrupted service, or external access. 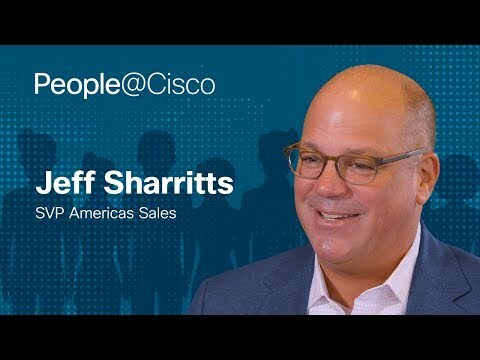 Cisco's network provided the connectivity for the employees that complements the quick speeds attendees need onsite. With the Cisco network, gamers at BlizzCon improved their download time, and decreased things like lag and packet loss. Cisco routers and switches helped PCs run, wireless hotspots helped employees communicate during the hectic two days, and the servers ran the games. "BlizzCon is a critical event with die-hard Blizzard fans that requires a robust network infrastructure to support," said Systems Engineer Josh Dahl, "There are over 250 Catalyst switches, ASR 9000 border routers, 3800 Access Points, Nexus 9000 data center fabric, and Webex Teams coupled with API integration for collaboration. All of this was set up with automation within a two-week timeframe." With the amount of online social sharing, game playing, and demonstrations of brand new content, the show could not go on without the network. In addition to bringing smooth and flawless connectivity to the machines and people at the event, equipment must be set up and taken down quickly. Cisco is as committed as Blizzard to creating a seamless show for the diehard BlizzCon fans. Delivering the network so that fans in-house and around the world can enjoy gameplay and community building means that the fanbase connection can grow globally.